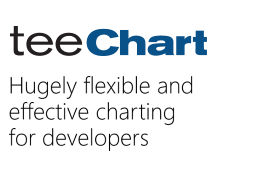 We purchased Teechart Pro 7 (7.12) and we installed it on a Windows XP workstation that has Delphi 2007 installed. When we open Delphi 2007 and browse our pallet icons for Teechar we can’t locate the TEEQRCHART component. Is missing. Please provide more info about the issue and how we can solve it. You should find TQRChart packages at somewhere like C:\Program Files\Steema Software\TeeChart 7.12 for Delphi 2007\Delphi11\QuickReport. You should compile and install the packages as described in the QuickReport article here.